Now in its 16th year, and better than ever! Discover herbal remedies for insomnia and anxiety. Create natural insect repellent and learn the secrets of wildcrafting with weeds. Make herbal balms, salves, and love charms. 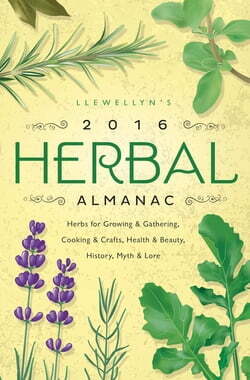 There are hundreds of ways to benefit from nature’s versatile plants inside... read more Llewellyn’s Herbal Almanac. This treasury of innovative herbal ideas spans gardening, cooking, crafts, health, beauty, and myth/lore. You’ll discover friendly fungi for the herbalist, permaculture and the herb garden, herb perfumes, herbs for the mind, misunderstood mint, a salute to spuds, inspiration for blackberrying, and how to take inventory of the herb cupboard. You’ll even find information on dream gardens and shade gardens! From herbal pickling to herbs and trees of the coniferous forest, this practical almanac is your gateway to the herbal kingdom.